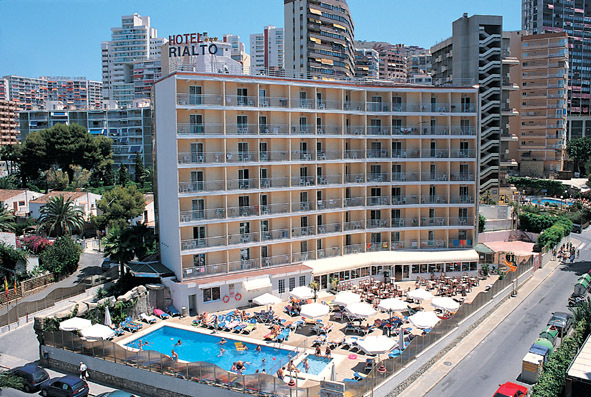 Hotel Servigroup Rialto is located in a residential area of Rinc�n de Loix, at just 300 yards the Levante beach. The hotel offers the perfect setting to enjoy your holiday with the sun, sea and Mediterranean climate. Facilities at the Servigroup Rialto Hotel include sun terrace with swimming pools, children's play area, restaurant, bar, air-conditioned lounges. Entertainment is provided for both children and adults.